and we finally pick up that dragon that we bought when we were 20 or so. This awesome dragon has been sitting in my cupboard for years and years and years and years. I originally bought it way back when I was designing my own Reign of Fire inspired skirmish game of dragons vs. humans. As the movie was released in 2002, I assume that’s pretty much when the dragon was bought – meaning it has sat unpainted for 15 years. That’s the time it takes for a newborn baby to grow up and go through the Finnish public education system, or for a 20 year old, fresh out of high school geek living with their parents to become a 35 year old dissertation writing geek. Time flies, doesn’t it? This was the result of yet another Random Platypus painting challenge, this time titled Old and mouldy. It was intended for people to finish pieces that have been mouldering away, so this was a perfect pick. 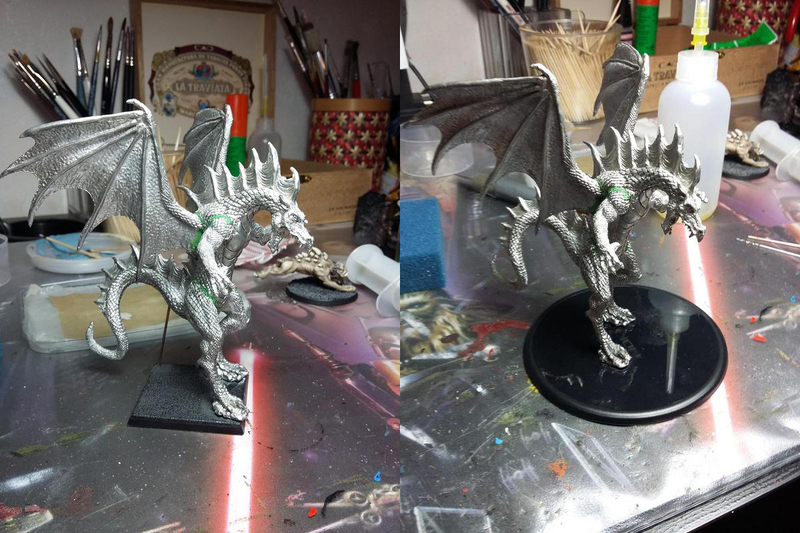 It is a Reaper Miniatures dragon sculpted by Sandra Garrity, and should you want one, it’s still in production. I loved it back then, I love it now. The pose is dynamic and very dragon-y and makes the creature very imposing. I don’t paint dragons very often, so I wanted to have fun with this one. I wanted to capture the feel of the old red box Dungeons & Dragons cover art by Larry Elmore, with the red dragon leaning over its piles of gold. I’m sure you’ve seen it. I had originally based him on a 40mm square base, which was pitifully small. I had also propped him up with a piece of wire. Those had to go, as I wanted a more impressive base. A I was documenting the process for the forum painting challenge, here is a before-and-after photo. The new base was a car mount for a cell phone holder – you can still make out the Nokia text in the centre. I had kept it lying around for ages, as you tend to do with stuff like this, in case it’s ever useful. The original store photos show the dragon leaning back on its tail, which I didn’t like. That’s probably why I propped it up with the wire originally. As I wanted to get rid of the wire, I had to gently bend the dragon forward to bring the balance up a bit. Once I’d done this, I pinned it to the base and secured it with ProCreate putty (not shown in the photo). Painting the dragon was a fairly straightforward process. I knew that my patience for such a large piece would be limited, so I just washed and drybrushed away for the most part. I did do some layering on the belly, claws and teeth, but this was definitely not very delicate painting. The sculpt however is very forgiving, and I’m very pleased with the look. Obviously the dragon needed treasure. I built small mounds out of ProCreate to represent piles of treasure, and sculpted in a bit of stonework to depict a dungeon floor. 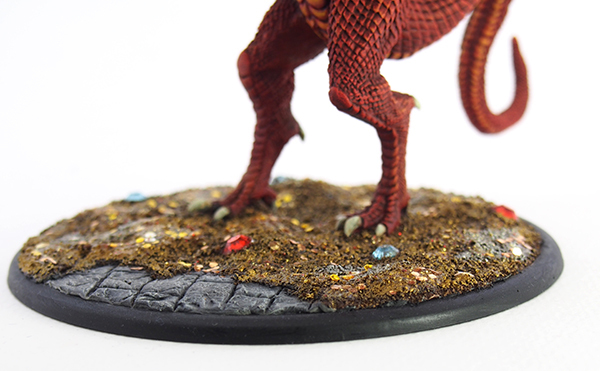 The treasure is painted ballast with some decorative jewel beads and painted over with cheap glitter nail polish – I definitely recommend both if you’re ever making miniature treasure stuff! Things have been quiet on the blog front lately, as I’m doing some home renovation stuff and that’s taking up a big part of my time. I’ve still been plodding away at miniatures stuff, so hopefully I can show some of those soon. Thanks Alex! Certainly a heavy whiff of nostalgia in this one. Looks damn good mate. Can’t go wrong with a big red dragon on a pile of gold! Much thank Warburton! It is an iconic image for sure, everyone should do one in their lifetime. Love the dragon man. What a fantastic sculpt. You’ve done really well with the painting and basing. Thanks ork! It really is an awesome sculpt, and definitely holds up despite its age. Sterling work from Sandra Garrity. Very impressive, I like the simple scheme. Great work. 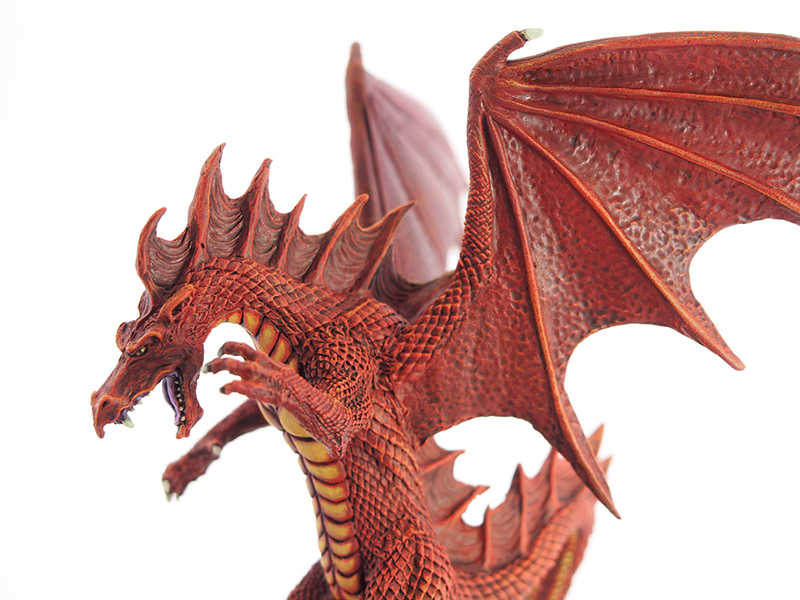 Very Red Dragon and the updates to the model’s base make a huge difference! Thanks Azazel! I’m really happy with the base, was fun playing around with the treasure piles. That’s a great and very classic looking dragon Mikko, well done. I only got around to painting a dragon last year. Weird isn’t it? The first miniature that I ever bought was a dragon. It has yet to be (re) painted. Thanks Paul! Paint it already, you’ve definitely got the skills by now. Nice work Mikko – KIITOS on sharing! 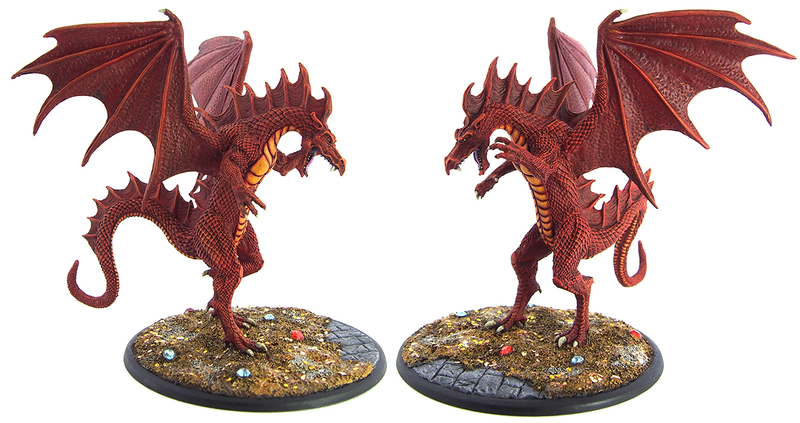 I think the dragon rocks – and the base is superb, though I am not sure what “ballast ” is? Thanks- my Finnish is limited! I’m only 25% anyway! Appreciate the link Mikko!